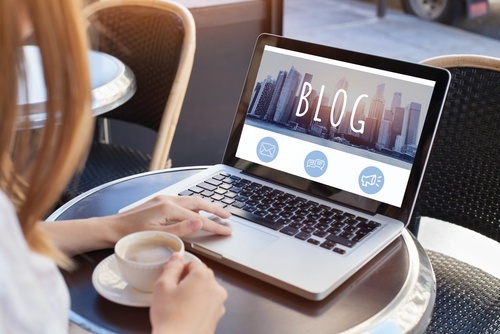 It's pretty common knowledge these days that creating a content blog strategy can do more for a business than many traditional marketing strategies, but actually developing a blog that is successful takes more than scribbling down a few words. There are a lot of resources out there to help you start up and write a blog, but unfortunately there's less information out there about how to develop a surefire content blog strategy. By following these steps, you can make sure that your client's blog does more than sit there. Most business owners know that they should have a blog, but why do they want a blog for their website? Sitting down with your clients and coming up with goals is imperative. Do they simply want to increase traffic for their website? Do they want to develop their brand? Do they want to help educate customers about their products? Or do they want to convert more leads? Whatever they want, they need to start with that when developing their content blog strategy. It's almost impossible to get what you want out of a blog if you don't know what you want to begin with! When sitting down with your clients, you'll want to make sure that they choose measurable, specific goals for the content blog strategy. If they're having trouble understanding what they want, help them by asking questions. If goals aren't measurable and specific, it's impossible to use analytics to see if the blog is meeting their needs. It's easy to think that you want more traffic for your clients, but that's just not true anymore. You want to get website traffic from people who are actually willing to convert. More traffic but fewer conversions is just a waste of everyone's time. So narrow your target audience down to the demographics you're looking at, and then do your research. See what kind of social media platforms they use, so you know where to share your blog posts. Ask yourself what barriers keep them from buying your clients' products so you can address them in your content blog. And of course, ask yourself what kind of content your targeted demographic enjoys reading the most, so you can supply it to them. One of my favorite things about doing keyword research is the number of ideas it gives me for doing blog posts. Take a moment with your client to find out what kind of (high volume with relatively low competition) keywords they'd like to use for their blog posts. Once you have a keyword, it's usually easy to come up with a blog post that can use it. Of course, you'll want to make sure that any content blog posts use keywords naturally -- the last thing anyone wants to read is something awkwardly worded for SEO rather than the reader, and Google will most likely penalize you for trying. The biggest fear a lot of clients have about adding a content blog to their website is knowing that they have to keep it up to date. Alleviate that fear by planning ahead and having a schedule for when blog posts are supposed to appear. There are many plugins that even let you publish on a timeline, so the blog basically runs itself once you have the content. This is great, especially for clients who want less to do with the marketing and more to do with their business. Eventually, you're going to have to have to repeat the whole cycle for your content blog strategy. You'll need to set new goals, redefine your target demographics, research new keywords, and schedule in more blog posts. However, by developing a strong content blog strategy, this whole process will feel natural and not overwhelming. You may find that the more you do it, the more your client will be able to come to the table knowing what they want, with new ideas and blog content examples. Creating a content blog strategy that's successful may take a bit of work, but in the modern age, there's no better way to attract new leads. Working together with your clients, you can make sure that the process is not only smooth and easy, but even better, gets them the results they desire. If you want to learn more about creating a content strategy, check out our white paper, "What is a Digital Content Strategy? And Why You Need One."